Choose any of our qualitative procedures like carpet or window cleaning or book a complete service package and get a clean and brilliant place. You can find our cleaners in London and make use of their assistance because it will surely leave you breathlessly glad. 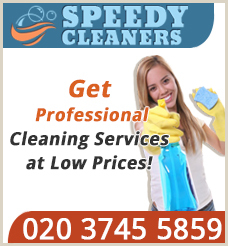 A truly reliable and experienced cleaning company is hard to find in London? No, it isn’t now because we are here to offer a brand new type of service that you haven’t seen so far. It’s all you could ever ask for as it combines in itself the most relevant factors you look for when hiring a cleaning company. Our cleaners operate with the latest detergents and technology on the market to reach for you impeccable results in your home or workplace. They are the people you need because they are among the most reputable teams in London – call now! You can hire our professional cleaning company to perform for you whatever service you might be in need of. Whichever of our services you pick, you will be fully pleased with the provided results that include outstanding cleanness, comfort, freshness and also great prices. You can book our carpet cleaning, window cleaning, end of tenancy cleaning, deep cleaning, etc. and get your free time for yourself while the best professionals in London do the dirty work. They will apply everything needed for the best maintenance of your home/office. ﻿You shouldn’t consider end of tenancy cleaning as an onus just because it’s an obligation. Think about it thusly: if you wouldn’t like to move in a dirty apartment, then leaving your rented property in a sparking clean condition is a matter of morality. Also, if you deliver a proper end of tenancy cleaning service, you’ll get your deposit back – a deposit for which you paid an awful lot of money. Of course you can alleviate yourself of the services of professionals – if so, choose us. We offer professional end of tenancy cleaning services exclusively in London. We are affordable and diligent. ﻿If your tenancy agreement expires soon, be sure to spare as much as a whole week for the end of tenancy cleaning. Even if you were the most diligent cleaner throughout your tenancy, end of tenancy cleaning will take a lot of time. If you don’t have that time – call us, we’ll clean in no time. We offer professional end of tenancy cleaning services for busy people to you, dear client. We are affordable and diligent. If you choose us you won’t regret it. We operate in Greater London and you sure are lucky if you live there.